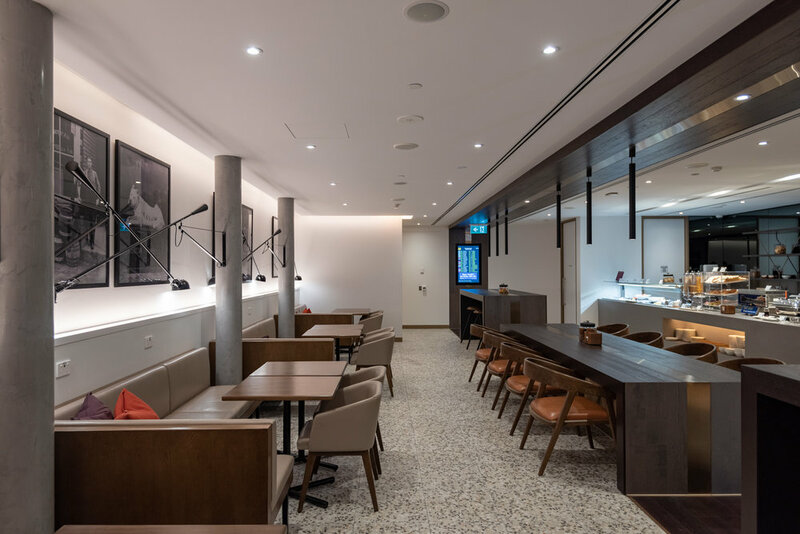 Having checked out the American Express Lounge and the Qantas International Business Lounge on my flight out to Auckland, I decided to head over to the relatively-new Plaza Premium Lounge here in the Melbourne Airport before my flight. 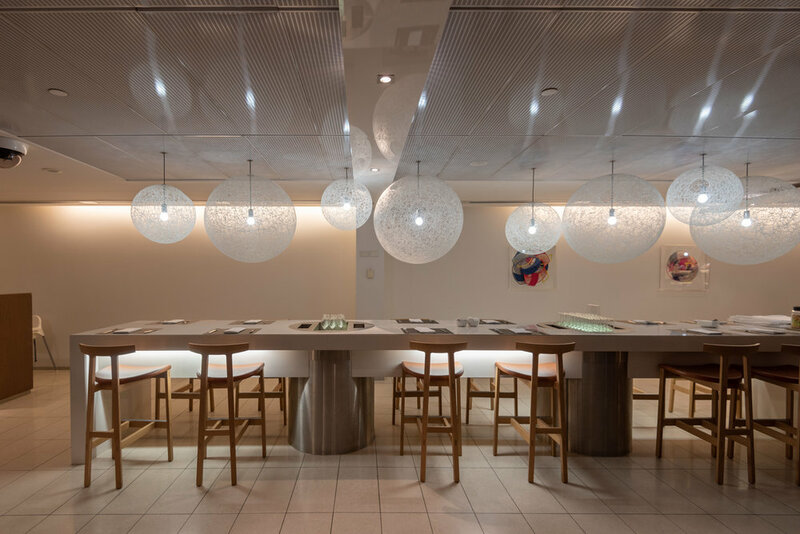 While I did not expect to be won over by this lounge, it is now my favourite airport lounge in this airport - the space is beautiful, the food is decent and the quality of coffee is surprisingly good. Even though my previous flight on Qantas’ A380 in Business Class was rather unimpressive, I was really looking forward to this MEL-SIN flight on their flagship Business Class product. Click HERE to get the best flight deals on Skyscanner! Since I did not have an extended layover this time in Melbourne Airport, I was unable to head down to Urban Provodore for lunch (or more accurately, an early dinner) using my Priority Pass membership. 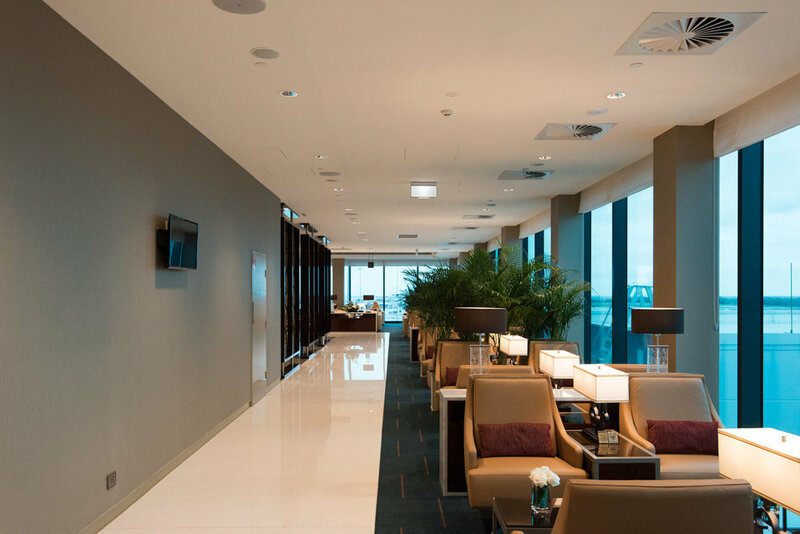 In my opinion, only the Emirates Lounge in this airport has proper food but having been there on multiple occassions, I decided to just stay put in the Plaza Premium Lounge this time round. Now, this flight was taken almost a month ago and I am currently still waiting for the miles to post into my Alaska Airlines Mileage Plan account - mileage claim was 'declined' because apparently I was not found on the flight. Hopefully that gets ironed out pretty soon because I have plans to make use of those miles for another flight on JAL. 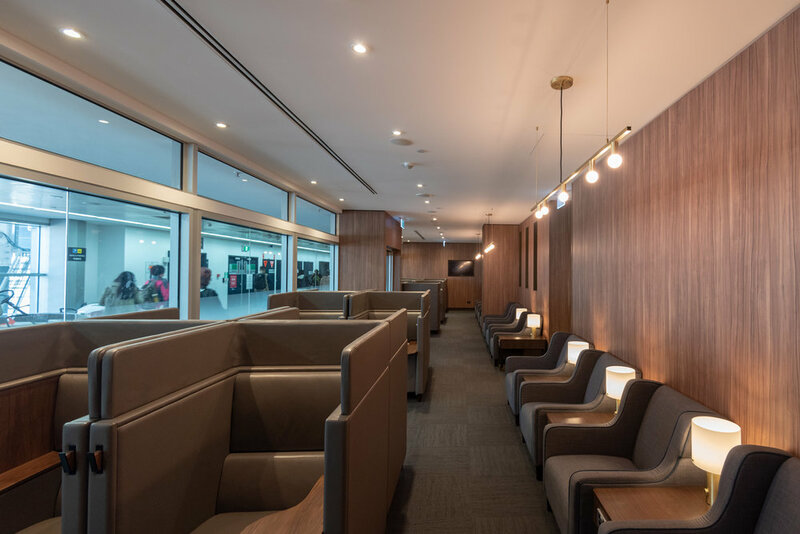 Similar to most international airlines, Qantas has priority boarding for Business Class passengers as well as those with significant status in the Qantas Frequent Flyer and oneworld program. 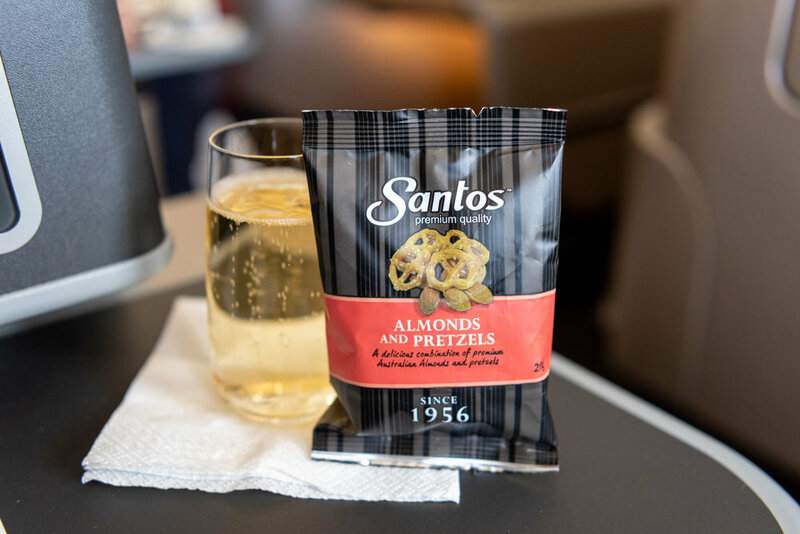 It is worth noting that the A330-300s operated by Qantas do not have a First Class cabin but they do have the latest Business Class cabin product right now. Thankfully, the A380s will also be retrofitted with these products sometime next year so hopefully that happens sooner than later. There are 28 Business Class seats and 269 Economy Class seats on this plane. Window Seats in Business Class (A,K) alternate between aisle-facing and window-facing - if you plan on sleeping or you prefer a little more privacy, rows 2, 4 and 6 are your best bet since the seats are located closer to the window. The Business Class cabin is also arranged in a 1-2-1 layout so thankfully I managed to snag Seat 6K which meant that I did not need to sit next to anyone throughout my flight (unlike my previous flight on the A380). The seats here in Business Class offer 73" of seat pitch (versus just 31" in Economy) and 23" in seat width (versus 17" in Economy) but most importantly, they look great when compared to the existing A380 product. It seems a little strange that all passengers embark through the front of the plane since most airlines that I have been on typically board their premium class passengers through the front door only. In any case, I was happy to nurse a glass of Champagne while waiting for the rest of the passengers to settle into their seats. I also took the opportunity to look through the menu for the flight and the food actually sounded quite nice. As you would expect, noise-cancelling headphones are provided on the flight but they are not exactly comfortable for prolonged usage - I always travel with my own and it is actually great that the airline adapter is detachable so you can plug your own headphones in even if you have gotten to bring an adapter. Every one of the Vantage XL seats, manufactured by Thompson Aero Seating, come with a large pillow that provides extra back support on longer-haul flights. If you plan on using your mobile device or laptop during the flight, a universal power outlet as well as USB charging port can be found right next to the seat. Unfortunately though, WiFi is not offered on these flights so make sure all your documents are properly synced before taking off. While looking through my seat, I noticed that a bottle of water has been placed right next to where the headphones are. Offering a bottle of water may seem like such a trivial thing but it makes a whole lot of difference when you wish to have a sip of water without having to get out of bed (or bother the cabin crew) in the night. One of the cabin crew also went around the Business Class cabin to offer passengers an amenity kit (which had the exact same design as the one I have received on my SIN-MEL flight). Since this was not an overnight flight, pyjamas were not provided on this flight but as I have mentioned in my previous article, the sizes run a little large so you should opt for a Medium where possible if they are offered on your flight. Each business suite on the A330-300 also comes fitted with a 16-inch screen (this is slightly smaller than the 18-inch HD screen that Singapore Airlines offer on the A380 which operates on the same route). I did find the entertainment system to be decent enough for a medium-haul flight but it is nowhere near as comprehensive as what Emirates offers on the same route with their in-flight entertainment system (they have won the World’s Best Inflight Entertainment award at Skytrax World Airline Awards 2018 for 14 consecutive years). The Business Class seats on Qantas' A330-300 offer plenty of legroom and even though I am not exactly the tallest person around, there is still space to spare - I reckon anyone below the height of 1.82m should not have any trouble with this seat (especially since it converts into a 2m lie-flat bed). A blanket is also provided for this flight (you can find it in your seat) and one of the cabin crew actually came by to offer setting up the mattress prior to take-off. The seat controls were also relatively easy to understand (especially when you compare it to the one on the A380) - being able to adjust the seat's lumbar support is useful on long-haul flights. If you do not wish to be disturbed during your flight, be sure to push the 'Do Not Disturb' button and the flight attendants will not wake you up for meal service. What is even more interesting is the option directly below the top-right button - pressing and holding this button will tilt your seat back and you will even be able to enjoy this position during takeoff and landing. As soon as the seat-belt sign was turned off, passengers were offered a bag of pretzels and a drink of choice (I opted for Champagne, of course). I also asked whether I could have a bag of chips but somehow the flight attendant forgot to come back with my request. In any case, dinner was served shortly after that so I did not bother asking again. In case anyone was wondering, Qantas offered Duval Leroy Brut Reserve on this flight but apparently it alternates between that and Jacquart Brut Mosaique. Premium Australian wines selected by the Qantas Rockpool Sommeliers are also offered on the flight. To the side of the seat is where you will find your in-flight entertainment handset as well as a personal mirror which is great for a last-minute check prior to disembarkation. The IFE Handset does not have a digital screen unfortunately but the 16-inch touchscreen enabled screen should be great enough for you to navigate through the platform without any challenges. Shortly after the crew cleared away the empty pretzel bags and used glasses, they started coming around to set up the table for meal service. The table does get a little wobbly when you apply too much pressure on it so do exercise caution if you are planning to use your laptop here. To start off, a selection of bread was served and I particularly like the butter that was served - I have been given the same one in some cafes in Melbourne. A simple green leaf salad was also served together with the bread - nothing to shout about but that dressing is actually quite good. I chose the Salad of Seared Tuna with Brown Rice, Edamame, Cucumber, Radish and Sesame Soy Dressing for my appetiser and even though I was seated in Row 6, I managed to get my choice of meal (unlike on my previous flight). Even though Qantas should probably improve the way food is presented in Business Class, this dish was surprisingly delicious and I finished every bit of it - the brown rice was perfect seasoned, the seared tuna was fresh and it was a really well-balanced dish as a whole. For my choice of mains, I opted for something a little more Asian-inspired. To be honest, I was very surprised that they have left 'lap cheong' in the description since I would imagine most passengers would not know what it is. Once again, the presentation of the Seared Humpty Doo Barramundi with Bok Choy, Steamed Rice, Lap Cheong, Sesame, Shrimp and Ginger Sauce leaves much to be desired but the dish was absolutely delicious - the fish was reheated nicely and it was not overly dry - the rich and thick consistency of the ginger sauce also went really well with the steamed rice that was served on the side. I opted for the Maggie Beer Ice Cream - the Burnt Fig, Honeycomb & Caramel Ice Cream was absolutely divine! I cannot believe that I have lived in Australia for close to five years without trying this once! Even though my previous Business Class experience with Qantas was lackluster and unimpressive, I really enjoyed my flight from Melbourne to Singapore on the A330-300. The flagship Business Class product is infinitely better than what is currently offered on the A380s and thankfully the seat that I sat in this time was clean - no used food wrappers and crumbs! If price was not a concern, I would opt for Singapore Airlines any day but considering how this flight is S$1,000 to S$2,000 cheaper, it really isn't a bad option at all. Now all I have to do is to make sure that the miles earned on this flight post accurately into my Alaska Airlines Mileage Plan account (because having MVP Gold status means 100% more base miles!). While I will go out of my way to avoid flying on the A380, I certainly would not mind flying on this Business Class product again!